Contrary to much public opinion, my children like the banana flavored Runts. In fact, my youngest really likes them. 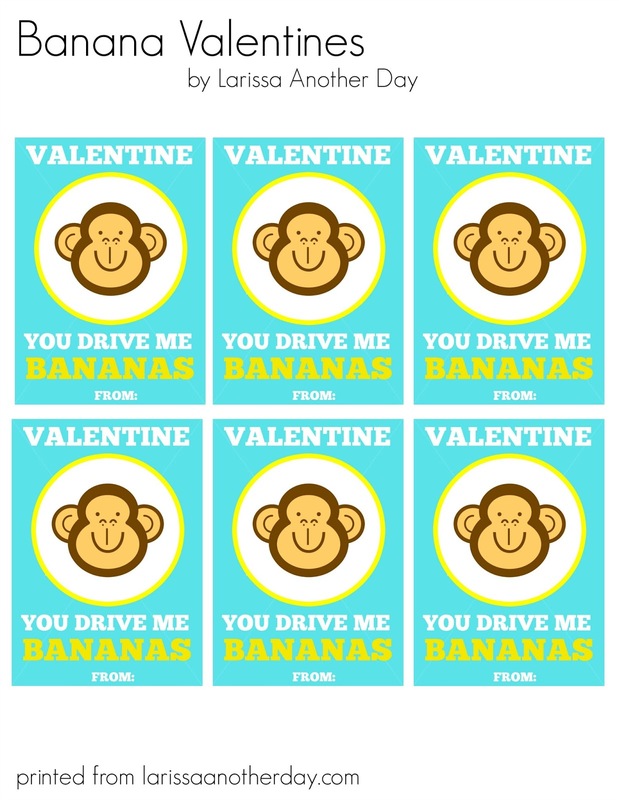 So add that to the fact that PicMonkey had this ADORABLE monkey face overlay and I really couldn't help myself. 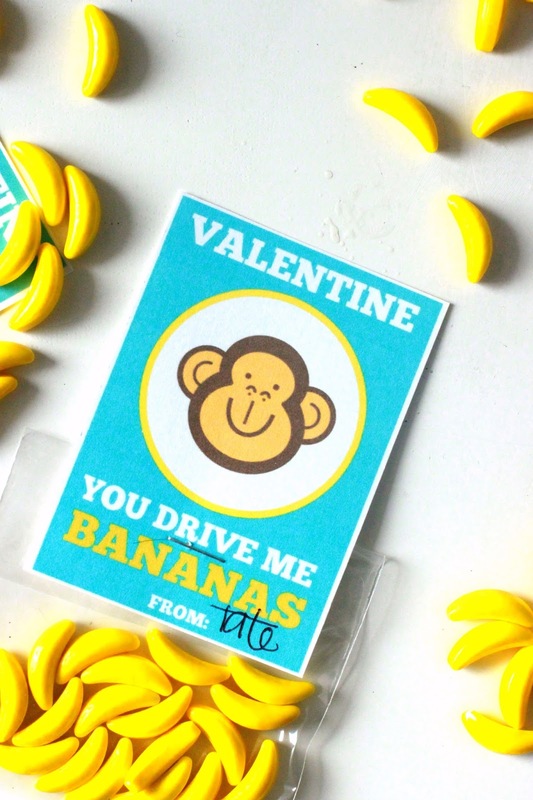 I just had to design this banana classroom valentine. 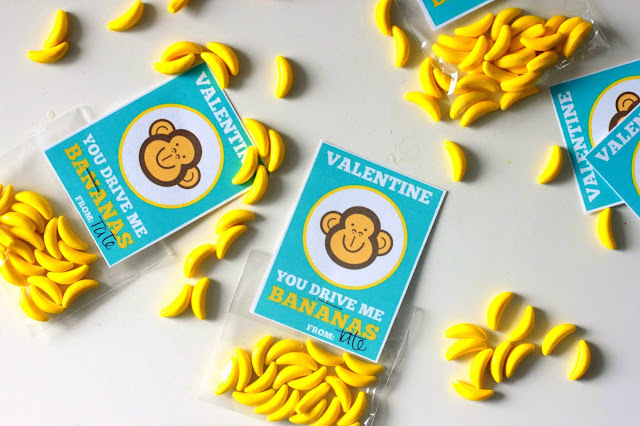 It is a simple tag that can be attached to a small bag of banana candy. Did you know that you can buy bags of just the banana Runts? Well you can. Huzzah! I bought the bag of banana candy, and thank heavens there were enough for small fingers to steal some while we were assembling them. 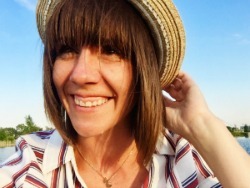 They really are simple and perfectly sweet. My itty bitty is so excited to had these out at preschool. Download the printable. Print on cardstock. 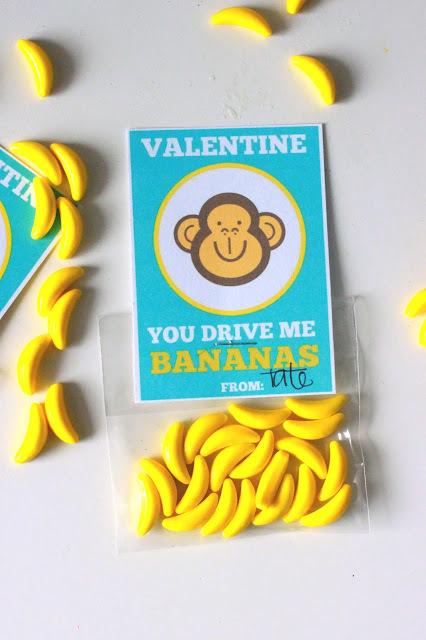 Cut and attach to a small treat bag of banana candy. Easy as pie...a banana pie. Sorry, I had to. I obviously have a problem. Seriously though, these will come together so fast and are sure to be a hit. Remember, even if you don't like the banana flavored candy (insert hand raising here), most kids do. Make sure to also go and check out my PL-IZZA Be Mine Valentine classroom valentine from yesterday. 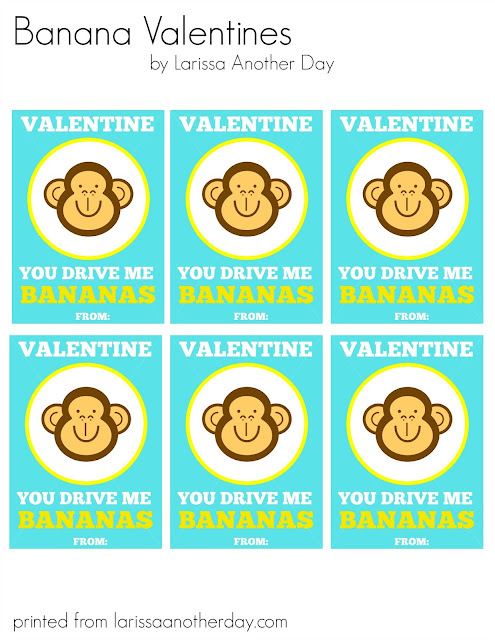 There is also a list of some of my other classroom valentine ideas.